Recent headlines about a Brucella outbreak in 19 states blamed raw milk dairies. 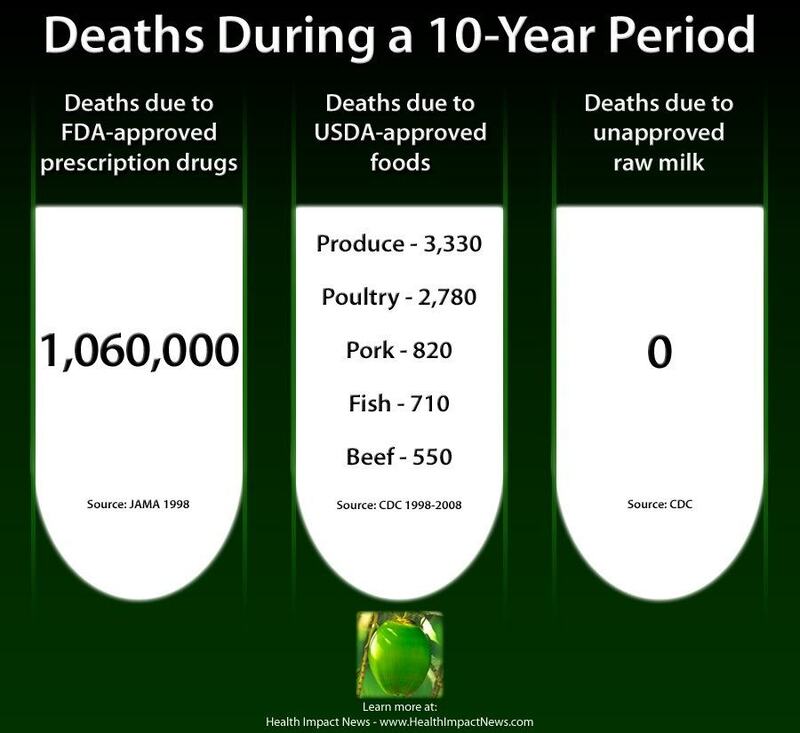 But one raw milk dairy in Pennsylvania has sent out an email update to its customers explaining that the Brucella outbreak is actually "an antibiotic resistant, modified live strain of Brucella that veterinarians give to cows as a vaccination." The farm in this brucellosis case was not even licensed or permitted for raw milk sales. Raw milk producers that are allowed to produce raw milk legally in some states (many states do not allow it all), must pass much more stringent sanitary inspections than even commercial dairies. As we have reported for many years here at Health Impact News, conscientious dairy farmers who choose to market a high-end product directly to the consumer are a threat to the subsidized commercial dairy industry. These brave farmers have endured a lot of persecution from government regulatory bodies who try to shut them down, and deny consumers access to a healthier, and safer, dairy product. Here is the letter from Pennsylvania farmer Edwin Shank setting the record straight on this most recent attack against raw milk dairy farmers.